Tycoon Suleiman Kerimov is selling his stake in potash producer Uralkali to investor Vladimir Kogan for $3.7 billion, a prominent Russian lawyer and news agencies said Friday. Shares of major European and North American potash producers jumped on speculation that a sale might lead Uralkali to rejoin an export partnership with state-owned Belaruskali, averting a possible collapse in prices for the soil nutrient. 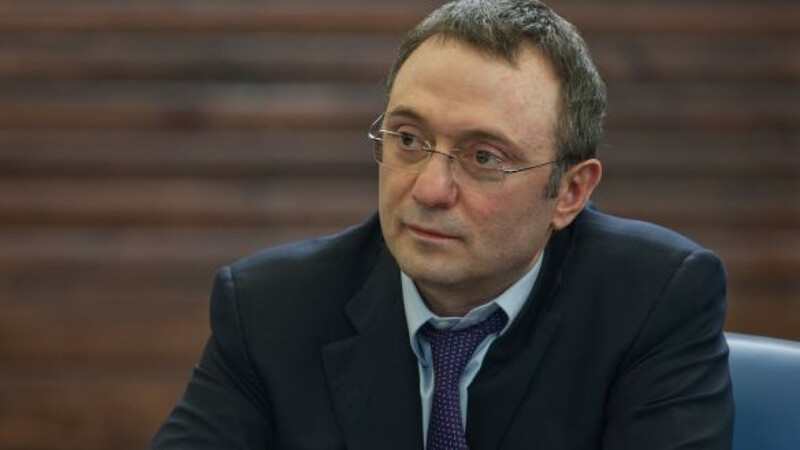 Speculation that Kerimov has been trying to sell his 21.75 percent stake, held through his foundation, has mounted since Uralkali triggered a row with Belarus by pulling out of a cartel in July that controlled about 40 percent of the world's potash. The reports could not be immediately confirmed but Kogan a financier and former state official once dubbed "Putin's banker" has been linked by media to such a deal for a week. "If there is a deal, VTB will probably take part," said a source close to Russia's second-largest bank, VTB. A second financial source said Sberbank also could get involved in financing any deal. Sberbank chief executive German Gref was in Minsk on Friday. Officials for the two banks, as well as for Kerimov's investment company Nafta and Uralkali, declined to comment. Belarus arrested Uralkali's CEO, Vladislav Baumgertner, on Aug. 26 and has charged him with abuse of office. An appeal for his release was turned down Friday. "It's a bit of a soap opera that's going to take some time to play out," said Paradigm Capital analyst Spencer Churchill, who covers Canada's Potash Corp of Saskatchewan. "The theory [is] that this is a way of placating the Belarussians and putting control [of Uralkali] to someone closer to the Kremlin and will lead to some sort of remarriage." Uralkali shares closed in Moscow down 1.8 percent, giving the stake a value of $3.5 billion. Putin has refrained from criticizing Minsk over the dispute, suggesting that the position of Kerimov, a 47-year-old billionaire from Dagestan, had become tenuous after he angered a close ex-Soviet ally. Alexander Dobrovinsky, a Russian lawyer whose Facebook post last weekend first triggered media speculation that Kerimov would sell, wrote again on Friday that Kogan was the buyer and that a 20 percent advance had already been paid. The deal would be completed within "two or three weeks", during which Baumgertner would be released, Dobrovinsky also said. Dobrovinsky said he was not representing Kerimov or Kogan and said the source of his information was "I, myself." Dobrovinsky has gained notoriety in the past by scooping conventional media on the death of exiled oligarch Boris Berezovsky in March. He wrongly reported, however, that tycoon Roman Abramovich had been called in for questioning by the U.S. Federal Bureau of Investigation. Kogan, 50, is a former banker and state property official from St Petersburg, Putin's home town. He was described in 2000 as "Putin's banker" by Businessweek magazine, which reported that Putin held deposits at — and owned shares in — his bank. Between 2008 and 2012, Kogan held a series of senior positions in Russia's Ministry for Regional Development, most recently as deputy minister and head of the agency in charge of state housing construction. Such posts would command significant budgets and would as a rule only be entrusted to an individual who enjoys the personal confidence of Putin, who returned to the Kremlin in May of last year for a third presidential term. Russia's state banks are already heavily exposed to the struggling metals and mining sector. Kerimov and three other shareholders sold more than $3 billion in bonds exchangeable into Uralkali shares to state-controlled bank VTB and Chinese sovereign wealth fund CIC. Putin's spokesman was not immediately available for comment. Kogan could not immediately be reached.